The Asia-Pacific region has seen an online boom over the past decade, particularly in e-commerce. In fact, this part of the world actually has the largest online market globally and high levels of growth in the Australian e-commerce market have had a lot to do with this. Despite having a smaller population than its competitors, there are several factors that explain why Australia has become one of the world’s biggest players when it comes to e-commerce. What is fueling Australia’s e-commerce growth? 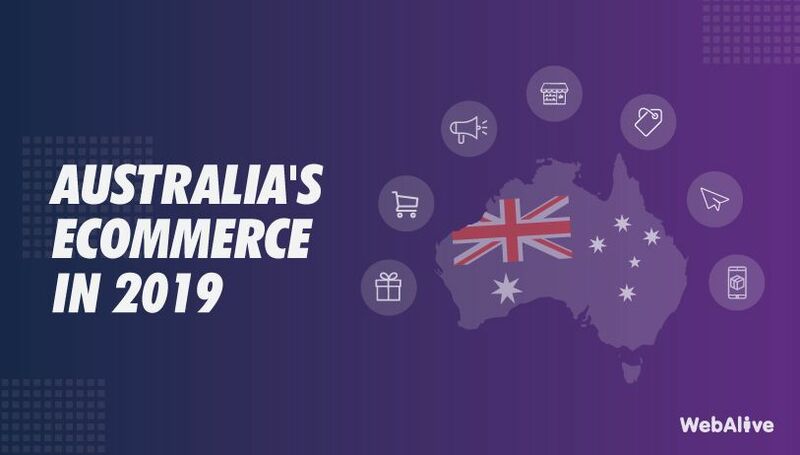 With a population of just 23 million, e-commerce in Australia is largely fueled by a stronger economy and infrastructure, rather than the number of consumers. 85% of people in Australia have internet access and the number of users is increasing at a rate of 1.7%. Globally speaking, this is a very high proportion and ensures that ecommerce websites are able to easily reach a large audience. Further, the increase of social media use for people of all age groups in Australia has introduced new ways to connect with potential customers. The number of social media users in Australia will reach 12.1 million in 2017. Currently, there are about 19.4 million mobile phone users in Australia, which again accounts for a large proportion of the total population. With more people having regular access to these devices, it is easier for online businesses to find potential buyers. This is one of the key factors behind the popularity of e-commerce stores. In 2015, about 35% of ecommerce transactions were made on smartphones and 27% of consumers buy products from mobile devices on a weekly basis. According to a study by Roy Morgan, Australians spent $41.3 billion on online shopping last year. And every 4 people out of 10 buy products from e-commerce stores at least once a month. The 2016 country report from Ecommerce Foundation shows that about 65% people in Australia shops online and this trend is going up. Australians are quite used to purchasing things on the internet and 79.4% internet users prefer this to traditional shopping. Australia has a GDP per capita of $88 thousand, meaning people have more purchasing power and disposable income. That makes spending money – whether it be spent online or elsewhere – more possible. Australia’s strong infrastructure with an 89% urban population provides retailers with a better opportunity for e-commerce retailers to grow their business. Over the past decade, many physical shops have started online businesses and have become successful. Compared to many developing countries, Australian online retailers face fewer bureaucratic hurdles and barriers to entry. This makes Australia an interesting destination for foreign e-commerce investment too. So what kind of products are Australians buying online? Well, they vary greatly. Let’s take a look at the 10 biggest online stores in Australia and how they are managing to stay successful. JB HI-FI is the premier example of an established retail store changing with the times and finding success online. Now one of the fastest growing e-commerce players in Australia, the electronics giant enjoyed a 23.6% increase in sales and had a profit growth of 31.7% in the second half of 2016, far outperforming the competition. Through the last financial year, the average number of unique visitors to JB HI FI’s online store has been 1.3 million weekly. Founded in 2011, The Iconic has quickly established itself as a leading online store for fashion and clothing items. Just 18 months after it was launched, Iconic became the number one fashion website of Australia. The website hosts about 10 million unique visitors per month and holds a 10% share in Australia’s online fashion market. Australian alcohol retailer Dan Murphy has a 50% share in the online liquor market. Their e-commerce store has over 5000 products and an estimated 2 million buyers. Dan Murphy’s online business is growing three times faster compared to their brick and mortar stores, a staggering statistic and a testament to how the buying habits of Australians are changing. According to the Wall Street Journal, Kogan is worth over $510 million. Originally starting out in 2006 selling televisions online, the retailer now stocks a wide range of electronics, fashion and health-related products. The website has 52 million unique visitors per year and 621k of these visitors are converted into customers. Annual revenue is expected to reach $241 million in 2017. Catch of the Day is a $350 million Australian e-commerce giant belonging to The Catch Group. The website is bringing in a massive 450k visitors and 8,000 orders per day, not to mention the brand’s 900k Facebook followers. It’s not surprising that Catch of the Day claims to sell 1 item in every 2.8 seconds. With over 300,000 customers across Australia, Appliances Online has become one of the most successful names in e-commerce. The online branch of the Winning Appliances group, the website is used to sell a range of electronic products and white goods including washing machines, refrigerators and ovens. Appliances Online have proved that products of all shapes and sizes can be successfully sold online. Booktopia is Australia’s leading online bookstore. Established in 2004 with a budget of only $10 per day, the online business earned $85 million in the 2015-16 financial year. In 2015, Booktopia acquired its main rival – Bookworld. Business is expected to grow even more in 2017. Red Balloon is a unique e-commerce site that sells “experiences”. Starting in 2001 as only $25,000 and an innovative idea, the organisation has turned into a multi-million dollar revenue generating business. The website now lists over 3000 experiences and attracts about 7.5 million visitors per year. Temple & Webster sells furniture online, listing more than 140,000 products on the website, making it the largest e-commerce business of its kind in Australia. Last year, the furniture retailer had a revenue of $61.7M, a figure that is expected to grow in 2017. Currently, only 4.1% of Australia’s homeware and furniture sale occur online, but Temple & Webster is working to change this trend. HardToFind is a curated online retailer selling hand-picked products from different manufacturers. The platform has earned the trust of its customers and has a yearly turnover of more than $15 million. HardToFind predominantly sells gifts and fashion items by sourcing from 1500 sellers coming from 20 countries. Starting their journey in 2008, HardToFind has maintained an impressive track record and sees a steady increase in sales every year. With Australians buying more and more online every day, there are a number of hugely successful e-commerce businesses out there that have made a name for themselves in the industry. All key indicators suggest that more of the retail market will continue to move online. e-commerce currently holds 35.7% of the online retail market and consumer adaptation is increasing on a global scale. But Australian online businesses must also be able to compete with foreign e-commerce sites that are willing to enter the Australian market and looking for ways to do so. E-commerce giants like Alibaba and Amazon plan to have a stronger presence in the country very soon. There’s no doubt that in 2017, Australian e-commerce businesses will also face intense competition along with tremendous opportunity.